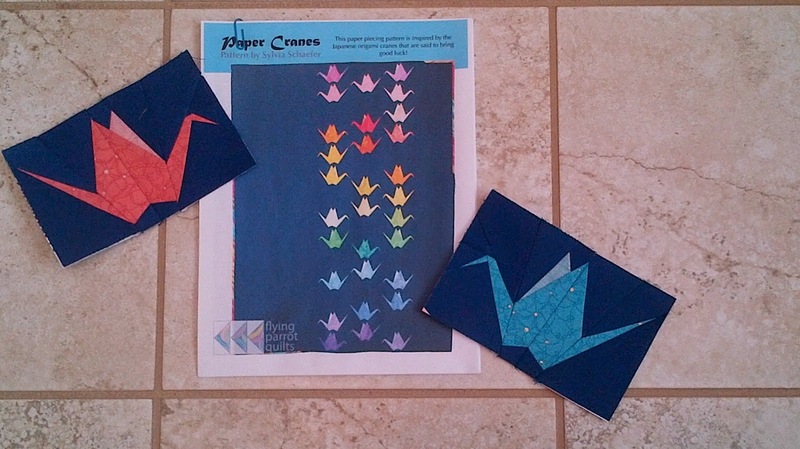 Pictured today is a pattern called Paper Cranes and two paper pieced cranes from the pattern. I stumbled on this site a couple of weeks ago after following links from a linky party. 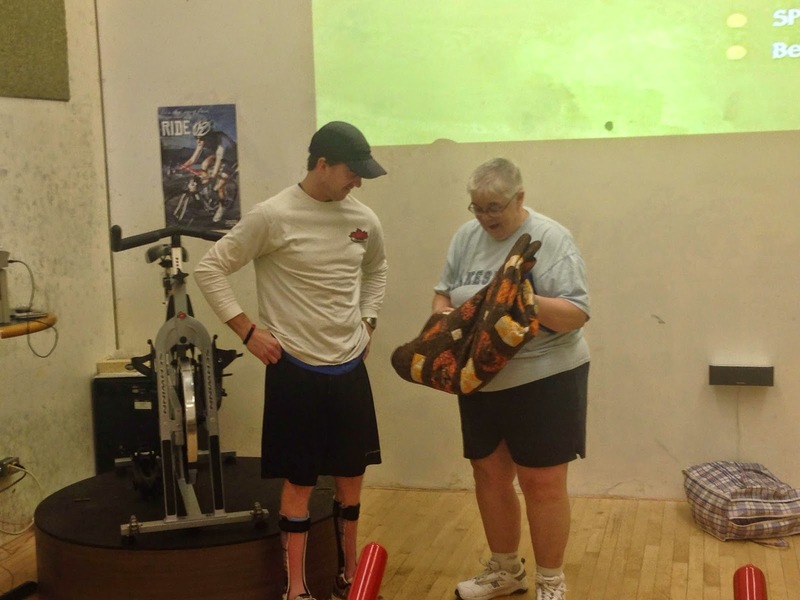 The site is Flying Parrot Quilts (here) and the proprietor is Sheila. She has some fantastic designs with a Science base to them and as a retired Math and Science teacher they just drew me in. As I went through her site I noted that she had asked for testers for this pattern back in late Fall so I figured she would have that under control but I sent her an email anyway and said I would be interested in future testing opportunities. I ended up proof reading the pattern and making a left and right facing crane. The pattern is beautifully laid out, well illustrated and very clearly explained. And it includes little hints too. I could see her Science background at play here. The cranes are designed to be done with two charms. The first one I made with some scrap material that was cut in a 5" strip. For the second one I figured I better stick to two charms. That worked perfectly. When my daughter was in Brownies they made Paper Cranes and sent them to the war memorial in Japan. One of the boys in her class (about grade 4) made a stunning mobile for the school library with a 1000 paper cranes. It hung in the library for the rest of the time that my kids were at the school. So I have a bit of a soft spot for that particular design. Labels: bricks, Leaders and Enders, linky parties, Oh Scrap! 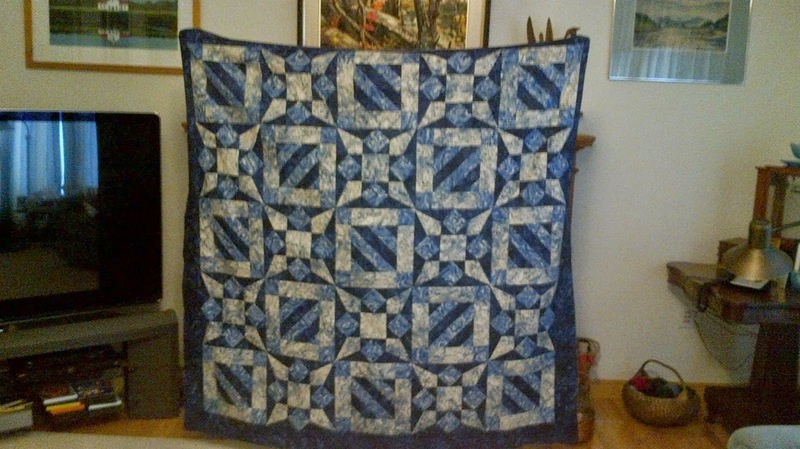 PS Don't forget to stop by Cynthia's blog(here) Quilting is more Fun than Housework, to see what other blogs are doing with their scraps this week. 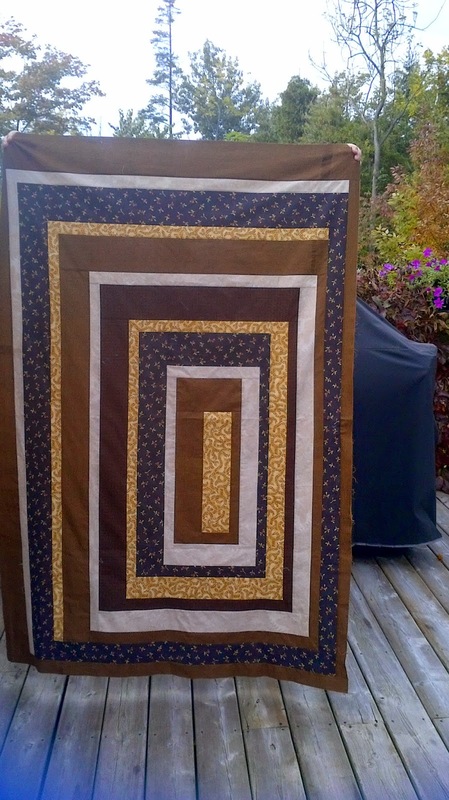 This lovely quilt top is called Smile on Me. It was designed by Raija of Quilters Treasure Chest in Arkansas. I don't exactly recall how I ended up testing for her but when I saw the draft design photo I loved the geometry of the design. I actually went out and bought fabric to make this quilt. The pattern makes use of two Deb Tucker rulers, the Corner Beam Tool and the Square 2 Tool. But there are paper templates with the pattern so if you do not have those rulers you can still make the design. I used the paper templates because no one had even heard of the rulers around here and I was on a time crunch to get this done so did not want to go online to purchase them. I did go online to watch the YouTube videos of them and may purchase them in the future. I think Deb Tucker does an amazing job with her specialty rulers and the education that goes with them. While testing the pattern Raija and I had a few social email exchanges. She is originally from Finland and I had visited there on two different occasions so we were both able to reminisce. Back on the Scrapwagon...did I ever fall off? Continuing in my efforts to look on the brighter side of things. Three scrappy finishes for January to date. 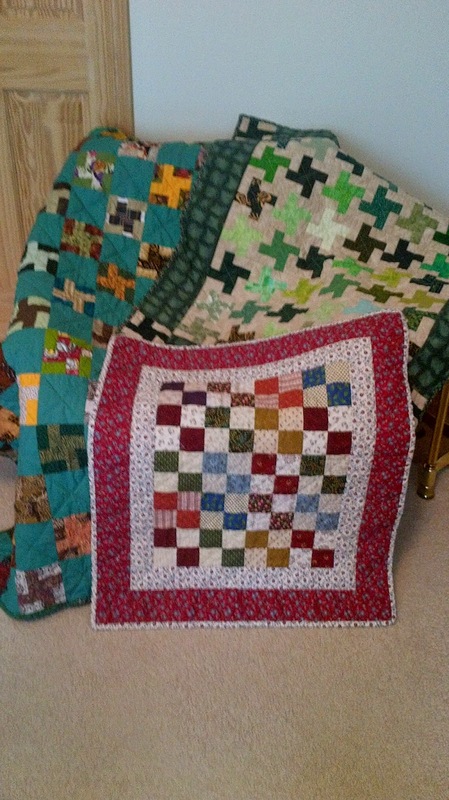 The red bordered one will go to Project Linus and the other two with the windmill blocks will go to the Scrapbag group. We are now in our fourth day of snowsquall warnings and second day of the Highway being closed. Perfect excuses to stay inside and do some finishing. 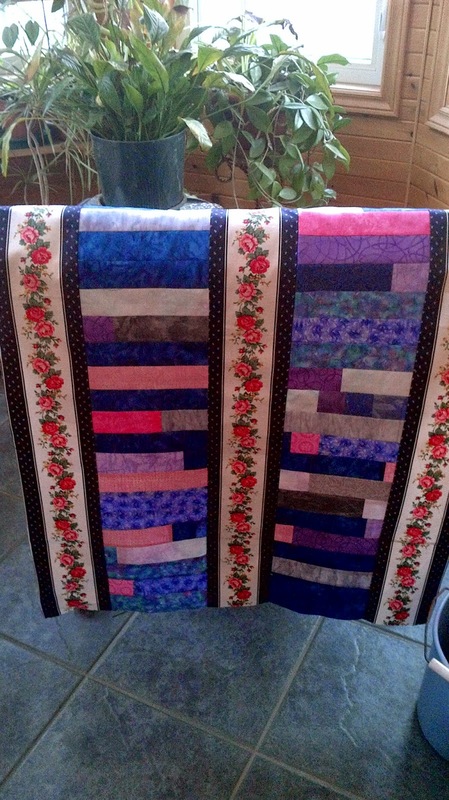 I need to get some more quilts quilted so I can sit under them to do the binding. Another good way to stay warm. We have quilt guild next week. Sure hope the Highway is open on Wednesday. As I rev my engines (slowly) for a new year I like to reflect back on the year just finishing. 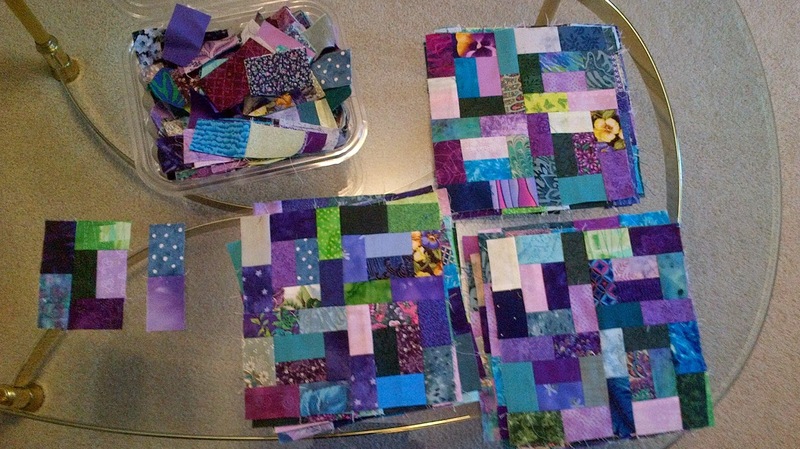 I completed 42 quilts, most of them have found new homes with the local Scrapbag group of through Project Linus. I am still enjoying doing that type of sewing and certainly plan to continue that. DH really wants me to reduce the stash so it can be a win-win. Several other projects of the "secret" variety were done and they are not included in my total. I have found that I really enjoy testing quilt patterns for other designers. I know I will never be a designer but I can follow directions and proof read well. I met and then exceeded my target of 50 books for the 50 book pledge. The next question is which book did I like the best. That is almost the impossible question. I enjoyed The Pearl That Broke Its Shell by Nadia Hashimi and In the Shadow of the Banyon by Vaddey Ratner. Both these books give the reader insides into another culture. 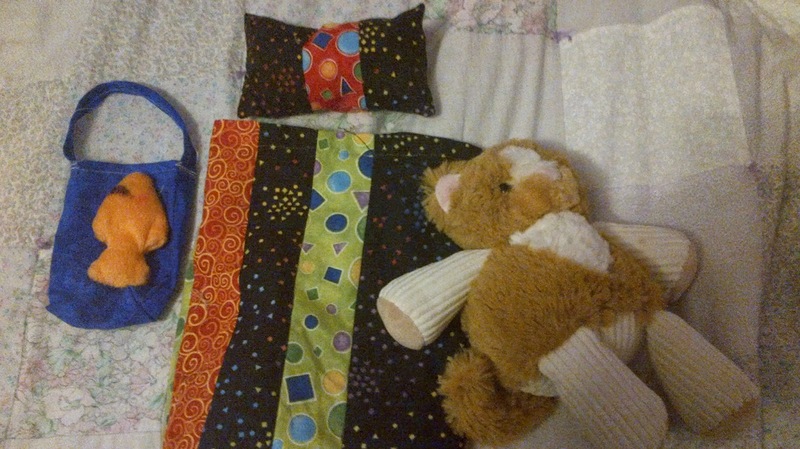 The photo for today's post is some of my Christmas break sewing. Grandson #1 brought his new "stuffie" with him when he came for the holidays. First he wanted a sleeping bag for his stuffie, then a pillow, then a stuffie for his stuffie and then a suitcase so his stuffie could carry his stuffie. Are you still with me? I drew the line at a hat for the stuffie. So a little piece of minkee made a little fish for the cat and scraps of cotton came in handy for the rest of the items. As to the glass half full. I was thinking that as I stitched a new binding onto a quilt sized quilt. This poor quilt had been loved to bits over the last 15 years and was literally falling apart. I repaired it as best I could and then spent most of a day sewing the binding in place. It isn't perfect but it has a few more years to give some warmth. The glass half empty person would say throw it out, the glass half full person would be happy the quilt is still in use and the owner does not want to part with it just yet.